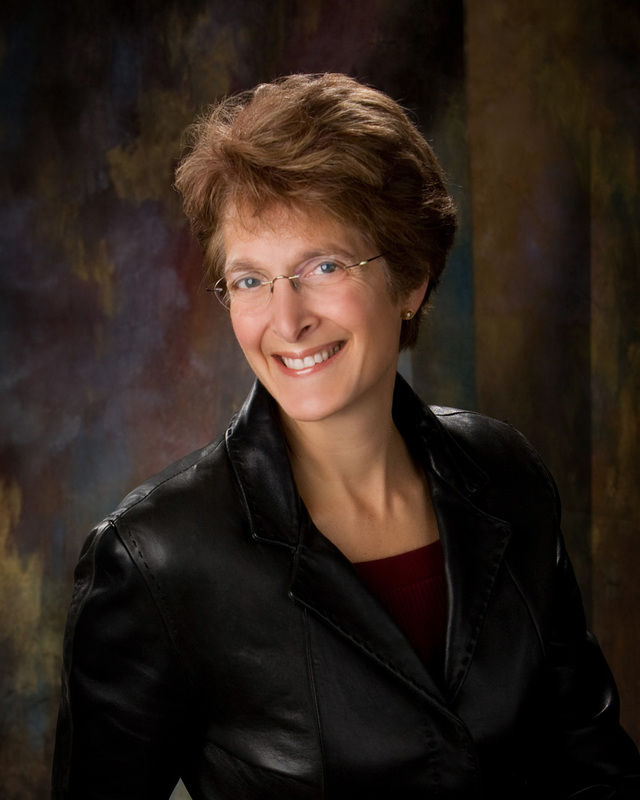 My guest this week is Ilsa J. Bick. Ilsa’s bio reads like it belongs to ten other people. She’s a child psychiatrist, a film scholar, a surgeon wannabe, a former Air Force major, and an award-winning author of dozens of short stories and novels, including the critically acclaimed Draw the Dark (Carolrhoda Lab, 2010); Drowning Instinct (Carolrhoda Lab, 2012); Ashes, the first book in her YA apocalyptic thriller trilogy (Egmont USA, 2011) and Shadows (2012); and the just-released The Sin-Eater’s Confession (Carolrhoda Lab, 2013). Forthcoming: Monsters, the final volume of the ASHES Trilogy, (Egmont USA, 2013) and White Space, Book I in the Dark Passages series (Egmont USA, 2014). Ilsa lives with her family and other furry creatures near a Hebrew cemetery in rural Wisconsin. One thing she loves about the neighbors: They’re very quiet and only come around for sugar once in a blue moon. JONATHAN MABERRY: Hey, Ilsa…thanks for stopping by. You’re a child psychiatrist, so let’s jump right in and talk about fear. What scared you when you were little? ILSA BICK: You know, I’ll be honest. When I was a kid, I wasn’t scared of very much except being alone in a dark house late at night. JONATHAN MABERRY: Was that scary in general or…? ILSA BICK: No, I think it was the stillness that got to me. JONATHAN MABERRY: Did you have something that helped you cope with that fear? ILSA BICK: So long as there was some kind of white noise—a fan, say, or some steady drone—I was fine. But once it got ~~quiet~~, every bump and creak used to freak me out. JONATHAN MABERRY: Was there anything else besides silence? ILSA BICK: I hated windows without blinds or curtains; who the hell knew what was out there looking in? So, of course, when I babysat, I made sure every light was on and the TV just loud enough so that when the homicidal maniac came through the door, I wouldn’t hear him until it was too late. ILSA BICK: It was a wonder no one docked my pay to cover the electric bill. JONATHAN MABERRY: Does silence still freak you out? ILSA BICK: No. As an adult . . . I crave silence. I like being alone. I love the dark. So, go figure. JONATHAN MABERRY: Yeah. I left my childhood fears behind, too. I outgrew them, or maybe they got stale. Hard to say. ILSA BICK: Honestly, nowadays, very little freaks me out. I wasn’t even all that worried for or about my kids, although I do remember turning all ninja-mom when some bozo spooked one of my girls. Guy was lucky to leave that grocery story with his teeth. JONATHAN MABERRY: Angry moms are scary, no doubt about it. ILSA BICK: Another true story: big old wasp—we’re talking something with BOEING written on the side—landed on my baby’s shoulder? I barehanded that sucker, threw it down, ground it to paste. My husband’s eyeballs about fell out of their sockets. Then we all went back to our burgers. JONATHAN MABERRY: Note to self…do not scare Ilsa’s kids. So, is it parenting that chased your fears away. ILSA BICK: In part, though I think my tolerance for the horrific is because of my past life as a doc. You know, hang around the emergency room or a psych ward or women’s prison for a while, and you see some pretty terrible stuff. JONATHAN MABERY: That’s acquired toughness, but is it the same thing as being fearless? Aren’t there still things that frighten you? ILSA BICK: Sure. I really don’t want to be held up at gunpoint; I don’t think I’d care much for, oh, drowning, being strangled or knifed to death. A stiletto pointing at my eyeball would be right up there on my freak-out-o’meter. Come to think of it, maybe all those times I put my poor characters in those life and death situations, I’m really trying to work through things. ILSA BICK: You see, this is what comes of being a shrink. You navel-gaze a lot. JONATHAN MABERY: But experience has made you practical about fear? ILSA BICK: I guess there comes a point where, sure, you can be scared, but if you don’t do something, you’re dead. So if I get scared, I get competent. At this point, the things that freak me out all revolve around things that make me mad (and sad) because there’s no way I can become competent. Climate change and mass extinction are right up there. Scare the bejesus out of me because I know there’s very little I can do except scream at politicians and be as environmentally responsible as I can. JONATHAN MABERRY: There’s been a running argument about whether intense subject matter in fiction is doing harm to our kids. You’re a mental health professional and a doctor…I’d love to have you weigh in on this. ILSA BICK: Oh, for heaven’s sake. Short and sweet? People who do a lot of handwringing around this? Take a breath. JONATHAN MABERRY: Totally agree, but the nay-sayers insist that kids can’t handle intensity or disturbing subject matter. ILSA BICK: You want to know real horror? Go revisit any natural disaster and see how altruistic everyone isn’t. We make war on a hugely destructive scale. Yeah, yeah, ants do, too, and so do chimpanzees and wolves, but they don’t take the rest of the planet down with them. Take a good long look at what we’re doing. Agent Smith (The Matrix) is spot-on: we are locusts, consuming our resources, and procreating out of control and the planet’s carrying capacities. Do I think there are some people who try? Sure. But those voices will always be small until the point of virtually no return when everyone panics. By then, I’m afraid that, given the current pace of environmental degradation, it’s too late. For many species and habitats, it already is. JONATHAN MABERRY: What about gore? ILSA BICK: Do I think gore can go too far, or object to things that are only a gore-fest? Sure, if it’s all just gratuitous violence and blood’n guts. But, get real: kids love being scared silly. Blood’n guts hold this real fascination. Why do you think so many people flock to the lions’ cage at feeding time? Or slow down for an accident? Or tell ghost stories around a campfire? Or watch scary movies through their fingers? Or sit around their TVs watching terrible things happen to other people and say things, like, oh my God, did you see that; isn’t that horrible; those poor people when, really, they’re thinking: Whoa, better you than me. JONATHAN MABERRY: Kids seem to be fascinated with scary things. When does that kick in? ILSA BICK: Thing is, this fascination with the horrific—and the relief that follows because, when all is said and done, you are still safe and your life goes on and that terrible stuff happened to someone else—starts when we’re really young. This will sound stupid, but think about peekaboo for a second. Yes, it’s a sweet little game, but what you’re playing at is the (fleetingly) scary moment of a parent’s disappearance counterbalanced against that giddy relief at their reappearance. It’s the same reason some little kids just hate going to bed. It’s not necessarily the dark that frightens them. It’s the isolation, the fear that if they close their eyes, you might not be there when they wake up. Sue me: I’m a shrink. JONATHAN MABERRY: So it isn’t horror writers who are introducing kids to scary concepts? ILSA BICK: Honestly, there is very little a writer can dream up that a little kid hasn’t already thought about. Worse, there are tons of things adults are too scared to talk about that kids want to discuss. And, conversely, there are things that freak out adults but which don’t faze kids much at all. I know people are gonna yell at me . . . but school shootings? All that back and forth about what to say to your kids? Most of that was to handle the adults’ anxiety. I’m not being flip or dismissive either. Adults don’t want horrible things to happen to their children, but children don’t necessarily worry about these things. Drives adults nuts, too, because they can’t understand how it is that, say, a six- or eight-year-old isn’t more upset and would really rather go play. JONATHAN MABERRY: So if the adults are demonstrating extreme reactions…? ILSA BICK: Kids look to their parents to decide how they should feel. Honest: the next time a little kid falls down, see where the kid looks first to decide if she should be freaked out or not. What a child knows, how she determines what to feel or think, is often influenced by what she reads in her parents’ eyes. JONATHAN MABERRY: Very good point. Getting back to the concept of horror…what does that word mean to you? What is it? ILSA BICK: Horror is anything that scares you so silly you can’t look away/stop reading. I’m completely serious here. Horror and religious awe share a lot in common. In fact, if you think about it—I won’t go all biblical, just saying—the most intense confrontations between the divine and humans are all mediated through horror as a synonym for awe. ILSA BICK: No one can look at the face of God without going crazy or being destroyed. Now, is that because that face is so horrible a person can’t stand it? Or is that because true horror is irrational, illogical, and inexplicable? There is no language; there is only emotion, and it is so intense, so all encompassing, that it is mystery and awe, all rolled into one. It’s why Moses covers his face, or God appears as a burning bush; or the ancient priests used to wear bells on their garments. The encounter with the divine could kill you, or drive you crazy. So, for me, the only true horror is psychological: so intense you simply can’t look away even as it’s gotten under your skin, in your dreams, driving you nuts. JONATHAN MABERRY: How much of your writing includes elements of horror? ILSA BICK: Oh, gosh, I find that I write horror into practically everything because, regardless of genre, I’m intensely interested in the psychologically complex. People have all kinds of demons. That sounds trite, but it’s true. As a shrink, I mucked around in a lot of private sewers. Really, you wouldn’t believe some of the monstrous things otherwise “normal” people think, and do. JONATHAN MABERRY: It must have been fascinating to glimpse into all of those dark, mental cupboards. ILSA BICK: When people walked into my office, they were in their darkest moments, at the brink of the apocalypse. I’m not joking. People came to me when all their normal modes of functioning or coping had broken down and life was no longer business as usual. Until the moment they walked through my door, parents could hang onto the idea of—and hope for—a perfect child. Seeing me was not only synonymous with defeat: it meant the death of that future. If that’s not catastrophic—if that’s not horror—then I don’t know what is. JONATHAN MABERRY: And now this informs your writing? ILSA BICK: All my books feature, you know, people and conflict and catastrophe of one sort or another, so horror seems to be part of that territory, whether I’m writing about guilt and loss in Draw the Dark, abuse and redemption in Drowning Instinct, murder and the loss of self in something like The Sin-Eater’s Confession, or the post-apocalyptic world of the ASHES Trilogy. JONATHAN MABERRY: Break down one of your books, take us inside the horrific elements. ILSA BICK: Well . . . hmmm . . . okay, you still want specific books? 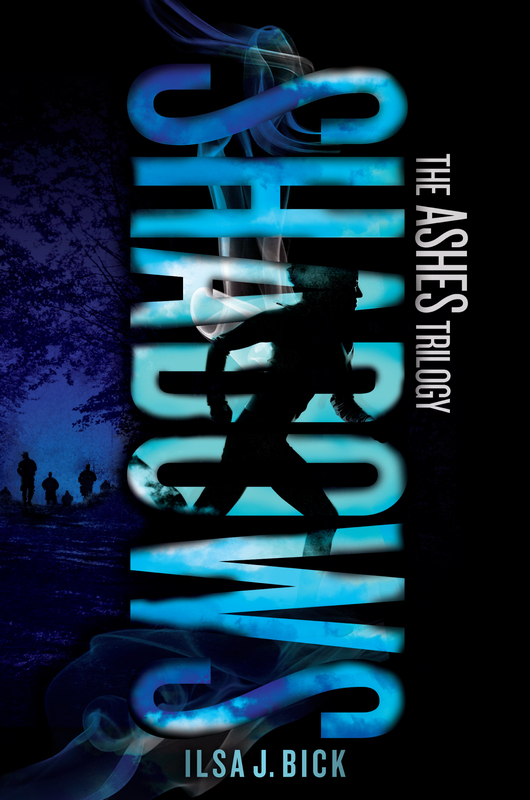 Then let’s go with the ASHES Trilogy. The skinny: a wave of EMPs (electromagnetic pulses) sweeps the sky (and, maybe, the globe). In a heartbeat, everything with solid-state processors—computers, power grids, communications—just flat-out dies. Nuclear power plants go up; so do nuclear waste storage facilities. People drop dead right off the bat, notably those between the ages of about 25-65 (so the folks who might actually be able to fix things), leaving only the very young and the very old. Those in-between, the teenagers, are all “Changed” into people who make interesting life-style choices and become, therefore, not the ideal folks to meet in a dark alley. JONATHAN MABERRY: Who’s our point of view character for this? ILSA BICK: ASHES follows Alex, who’s not only an orphan (both her parents died in a crash three years ago) but dying in her own right: she’s got a terminal brain tumor. 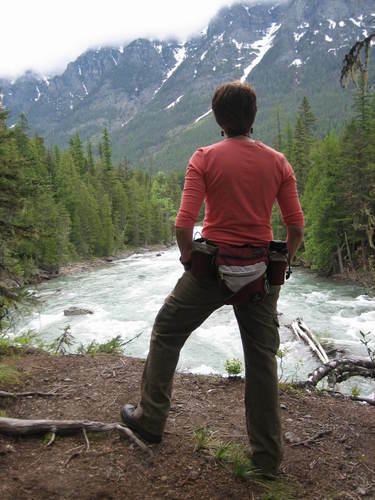 At the beginning of the story, she’s left her aunt and gone off into the Waucamaw Wilderness of Michigan’s Upper Peninsula on what might very well be a one-way trip. And then the world comes crashing down around her ears, and we go from there. Now, when the world’s gone to hell as it has in ASHES, the horror’s more obvious. Still, the obstacles my characters must face really are private catastrophes in the context of a larger apocalypse. Sometimes their struggles are against memories of a past in which they were the victims (Chris and Lena); for others, that conflict arises as a consequence of choices (Tom and Peter). And, of course, Alex faces the biggest challenge of all: is life really worth the effort when you’ve got an expiration date? 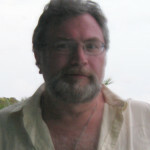 JONATHAN MABERRY: Is the whole series written? 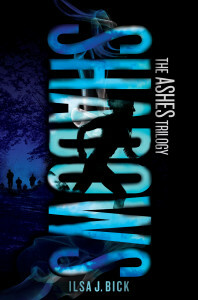 ILSA BICK: Monsters, the third and final volume of the ASHES Trilogy, is set to hit shelves in September. In spring 2014, look for WHITE SPACE, a very dark psychological horror-thriller and the first book in the Dark Passages series, to come out from Egmont USA. Then, it’s on to the sequel, The Dickens Mirror. JONATHAN MABERRY: Anything else on the stove? ILSA BICK: At the moment I’m in hand-to-hand combat with a new standalone which has, shall we say, its horrific moments. Even the cats know to think twice. JONATHAN MABERRY: What are your go-to recommendations for teen horror fiction? ILSA BICK: You know, I think I want to be ornery here and change this up a bit. JONATHAN MABERRY: Go for it. ILSA BICK: I’m kind of a visual person; in fact, when I got really bored during my child psychiatry residency, I went back to school at night and got a masters in film and literature then wrote a ton of academic stuff about film and psychoanalysis. There’s just something about a nice tub of popcorn and a good flick. So, instead of three horror books, I’m going to offer my three must-see horror flicks. A caveat: I don’t actually watch or enjoy most of what’s offered these days as horror. Slashers are just boring; and, honestly, life is tough enough. Yeah, these kinds of films are horrific . . . I guess . . . but <snore>. 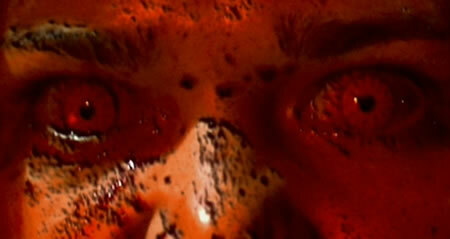 I mean, if you’re into blood and stuff, sure, but way too many people equate a ton of gore with what’s scary. Most of these slasher flicks with the guts and the sadistic chop-em-up sequences? Meh. It’s corn syrup, folks. JONATHAN MABERRY: So what flicks push your buttons? ILSA BICK: What’s much more intriguing/frightening/sacrilegious to me are the things you only imagine and don’t see: that Boogey-Man under your bed, for example, or what you only see out of the corner of your eye. 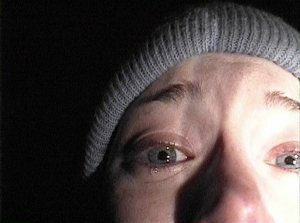 So my vote for three, truly excellent horror flicks start with the first Blair Witch film: oh, how super was that? I adored the way it exploited the unseen. I think I must’ve poked my husband a couple hundred times: What did he say? Did you see that? What was that? Honestly, I kept craning, trying to get a better look. You know, squint and bring things into focus? It was brilliant. JONATHAN MABERRY: Good call. It was one of the few horror films that gave me a serious jolt. I didn’t see that ending coming. What’s your second fright flick pick? 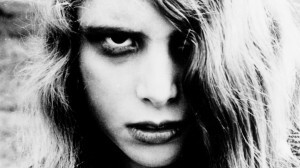 ILSA BICK: Night of the Living Dead and, in a close tie, 28 Days Later. JONATHAN MABERRY: I never would have pegged you as a fan of the living dead. ILSA BECK: And here I confess that I am not really into zombie flicks per se and I don’t watch The Walking Dead. Just doesn’t float my boat. But Night is such a CLASSIC precisely because it is so dark, so gritty, so in-the-moment. JONATHAN MABERRY: And you also dig 28 Days Later–? ILSA BICK: Not for the zombie moments—which were, yes, awful—but more for the quieter pathos. You know what got to me the most? The little girl’s goldfish, in that inch of water, gulping air. I am completely serious. When the protags left that apartment, it really bothered me, thinking about how the water would slowly evaporate from that bowl and that little goldfish would be all alone and no one would think to check and . . . see? I’m all upset. JONATHAN MABERRY: You are such a shrink and a mom! Those two flicks were a double second choice. What’s your third pick? ILSA BICK: Alien: a film I just adore. In my film academia days, in fact, I wrote about the first three. Although, no, I have not seen Prometheus and got zip interest in doing so. 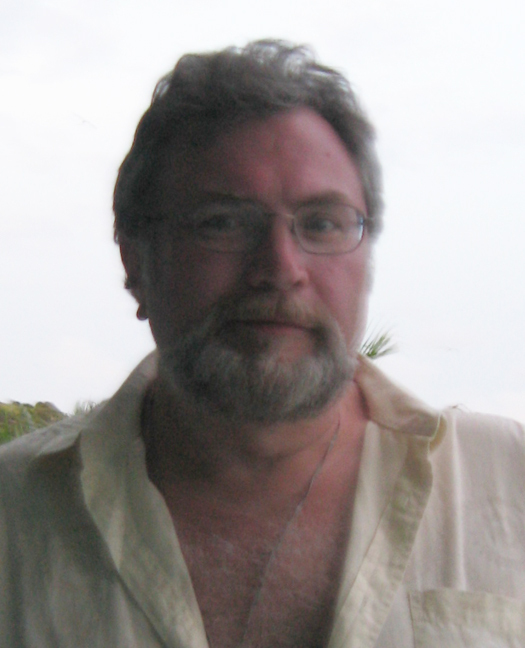 JONATHAN MABERRY: It was a disappointment that paved no new ground. ILSA BICK: Been there, done that, published the paper already. That first film is another superb example of things that scariest when they are a) unexpected and b) ever-shifting/hardly seen. At its core, Alien is a brilliant example of a haunted house film, set on a ship in outer space. 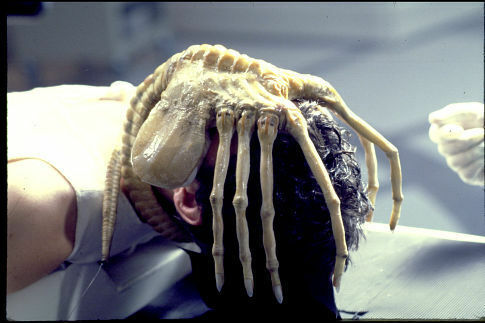 And, frankly, the real reason I will always have a soft spot for that film: Alien made my date scream like a girl. JONATHAN MABERRY: A lot of manly men may have, um, yelped a bit at that one, too. Ilsa…thanks so much for stopping by and sharing your insights. This has been great. 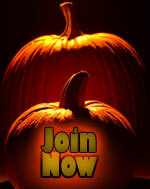 Visit Ilsa online at www.ilsajbick.com. Follow her on Facebook or Twitter @ilsajbick. Join me next week when my guest will be Kendare Blake, author of the brilliant ANNA DRESSED IN BLOOD. Until then…sleep tight, don’t let the bedbugs bite (they’ve mutated).